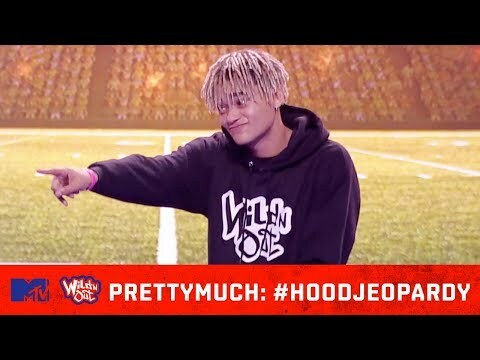 PRETTYMUCH battles it out with the red squad during Hood Jeopardy and end up getting taught a few lessons. 😂 #PRETTYMUCH #WildNOut #HoodJeopardy #MTV Subscribe to stay updated on the newest content! http://goo.gl/YuLQAo More from Wild N Out! Official Wild N Out Website: http://www.mtv.com/shows/nick-cannon-presents-wild-n-out Wild N Out Twitter: https://twitter.com/wildnout Wild N Out Instagram: https://www.instagram.com/mtvwildnout/ Wild N Out Facebook: https://www.facebook.com/nickcannonwildnout/ Nick Cannon Presents: Wild N Out delivers lightning-fast improv and head-to-head battles, helmed by the master of ceremonies, Nick Cannon. The stakes are high as teams face off in a series of visceral, hip-hop-edged comedy showdowns, all culminating in a rap battle for the championship belt.